Have you ever seen something in the window of a shop that you just had to have -- and then bought it immediately? Most of the time, before becoming a customer, a person will first go through what's called the sales funnel. The sales funnel consists of the different stages a customer goes through leading up to their purchase -- from looking at your website for the first time, to subscribing to your email list and reading your emails over a period of time, to talking to a sales associate and figuring out whether to buy from you. Although it's called a "sales" funnel, it's been at the heart of marketing for ages. That's because at any given time, your prospective customers are all at different points in their journeys toward a purchase. It's a marketer's job to give them the fuel to move them along the funnel toward a purchase. The internet has made it easier for marketers (and salespeople) to engage customers at the various stages of their journey using content marketing. That’s one of the main reasons that 88% of B2B marketers are using custom content marketing (up 86% from 2015), and 76% of marketers plan to produce more content this year. Despite that increase, 65% of marketers are still challenged when it comes to understanding which types of content are effective and which types aren’t. Much of that challenge can be traced back to marketers who struggle with creating the right content, for the right people, at the right time. When you don't have a complete understanding your audience, a disconnect is created between your business and your potential customers. For content marketers, this usually means you're putting out content that your readers don't really relate with, which can cause you to lose them. As is the case in all marketing disciplines, it’s important to understand your audience: how they think, the answers they seek, and the path they tend to take to find a solution. From that research, you can begin crafting a documented content strategy that maps your content to the various stages of the buyer's journey. In this post, I'll begin by defining the buyer's journey as it aligns with the sales funnel, by its three main parts: the top of the funnel (awareness), the middle of the funnel (evaluation), and the bottom of the funnel (purchase). Then, I'll offer ideas up for effective types of content to create for folks in each stage, including examples from real companies. Top of the Funnel: The "awareness" stage, where people looking for answers, resources, education, research data, opinions, and insight. Middle of the Funnel: The "evaluation" stage, where people are doing heavy research on whether or not your product or service is a good fit for them. Bottom of the Funnel: The "purchase" stage, where people are figuring out exactly what it would take to become a customer. Keep in mind your funnel may look very different depending on factors like your industry, business model, product, pricing, and audience. Some B2C customers, for example, spend very little time in the middle of the funnel compared to B2B customers that require far more nurturing, engagement, and relationship development before a purchase is made. A $50 pair of sneakers, for instance, requires a lot less handholding when it comes to making purchase decisions than a $10,000 business software investment. On the other hand, a B2C customer making a substantial purchase equating to thousands or tens-of-thousands of dollars -- like a new car or a big vacation -- may spend a lot more time in the middle of the funnel before making a decision as they research and develop trust with potential brands. Price isn’t the only factor though. I guarantee I’d spend significantly more time looking into, engaging with, and comparing $5-per-month SaaS brands for a business service to a $5-per-month investment in something like Pandora or Slacker internet radio. Because audiences can vary so widely based on industry and intent, persona research is of the utmost importance. Only by understanding their unique process for awareness and evaluation will you be able to create a truly effective content marketing strategy, packed with custom content that best supports their journey toward making a purchase. At this point, a buyer is trying to solve problems, get an answer, or meet a need. They’re looking for top-level educational content to help direct them to a solution, like blog posts, social content, and ebooks. Their value as a lead is low because there’s no guarantee that they’ll buy from you. But those who find your content helpful and interesting may journey on to the middle of the funnel. When someone moves into the middle of your funnel, it means you’ve captured their attention. They know they have a problem that has to be solved, and now they’re trying to discover the best solution. The need for a future purchase commitment creeps up as they’re evaluation their options. The middle of the funnel is typically a point of extended engagement where you’re nurturing a lead, building a relationship, and establishing trust between the audience and your brand. The bottom of the funnel is where someone is making the actual purchase decision. They're ready to buy, but that still doesn’t guarantee that they’re going to buy from you. That’s the last choice they have to make: Where do they get the solution they’re seeking? In most cases, leads at the bottom of your funnel just need that final nudge and that compelling call-to-action to get them to make a purchase decision. The right offer and content at this stage can have a dramatic impact on lifting your conversions. According to Adweek, 81% of shoppers conduct online research before making a purchase. There’s a good chance that a majority of your audience falls into that category. Remember, these people are looking for information and answers relating to a problem that points back to a product/service need. 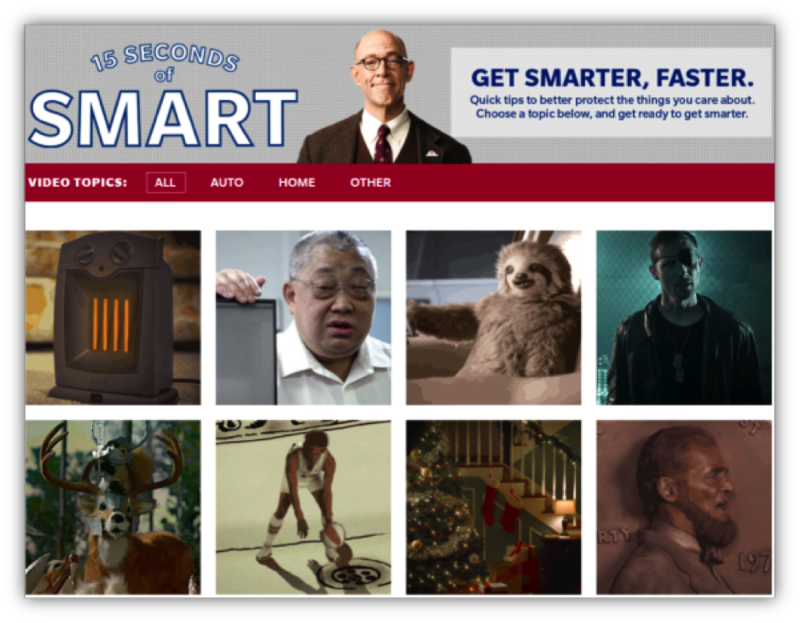 Farmers Insurance, for example, launched its 15 Seconds of Smart campaign: short, 15-second videos educating their audience on insurance opportunities -- while being wildly entertaining. These snackable bits of content were delightful, shareable, and educational all at once. 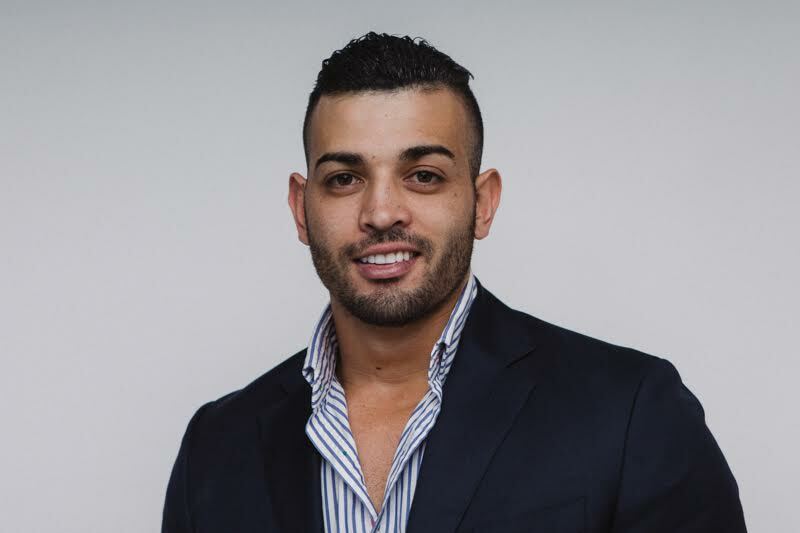 ConversionXL is a website that specializes in educating marketers and business owners on conversion optimization. As such, much of the content they share is meant to drive high-value leads to their conversion optimization service, like gated offers. However, in addition to these offers, they also launched a ConversionXL Institute, which offers training for those who either don’t have the budget or traffic for a premium optimization service. Their top-of-the-funnel content appeals to both audiences, using ebook offers to gain opt-ins and deliver value to their segmented audiences. 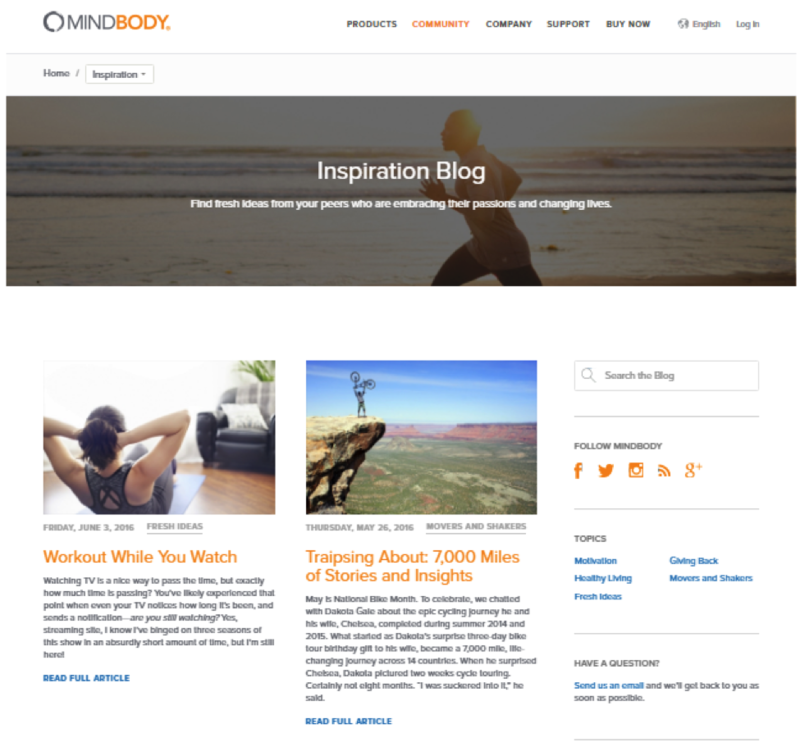 Blogs are a great way to attract attention to your website, but they lack the personal engagement side of marketing that helps businesses qualify prospects and nurture relationships. This kind of engagement is necessary, especially for people in the middle of the funnel. Evaluation is arguably the most critical point in the buyer’s journey because this is where prospective customers start eliminating solutions that aren’t a good fit. Unfortunately, a surprising 68% of B2B organizations haven’t even defined the stages in their sales funnels. Without defining the stages in their funnel, they can't possibly nurture leads effectively -- meaning they're making little to no concerted effort to move customers to the purchase stage. Companies with refined middle-of-the-funnel engagement and lead management strategy see a 4–10 times higher response rate compared to generic email blasts and outreach. Nurtured leads produce, on average, a 20% lift in sales opportunities. That's not something good marketers take lightly. People in the middle of your sales funnel are likely to be looking to you for content showing that you're the experts in your industry. 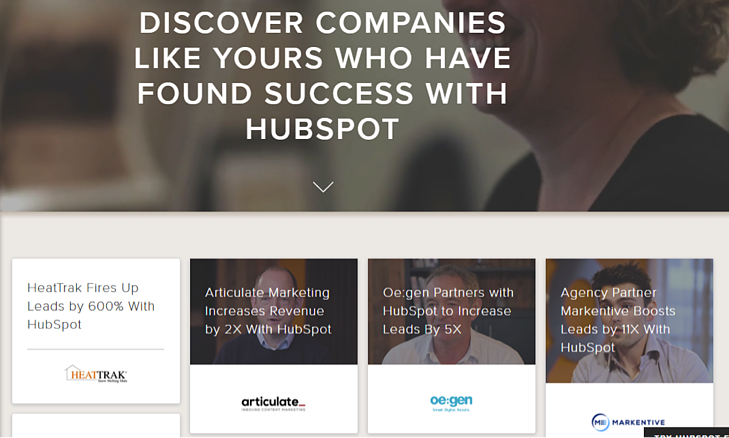 That's why the most effective types of content in the evaluation stage are things like expert guides, webinars, live interactions, and whitepapers that compare your features and benefits with that of your competitors, like this one comparing HubSpot to WordPress. 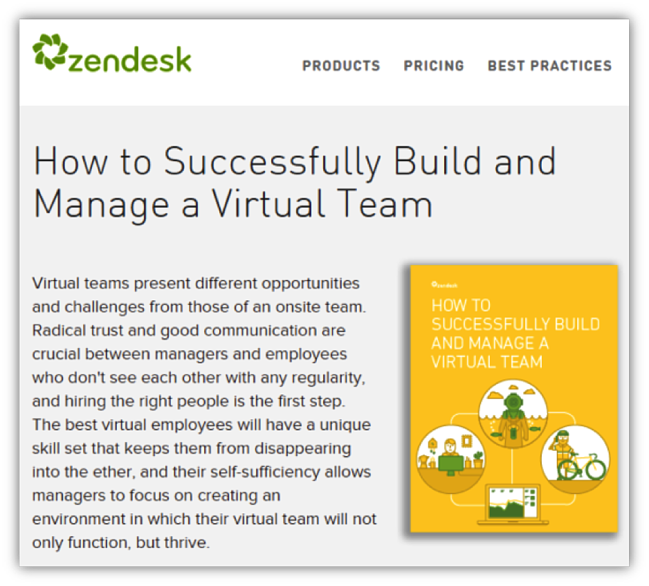 Zendesk puts out a wealth of in-depth educational content, like the gated ebook offer on how to build and manage a virtual team below. This piece of content targets people who manage remote teams, and it goes a step further than a typical, top-of-the-funnel blog post by diving much deeper into the subject. Middle-of-funnel content like this helps point their audience to a specific solution, while simultaneously building a relationship between business and consumer. 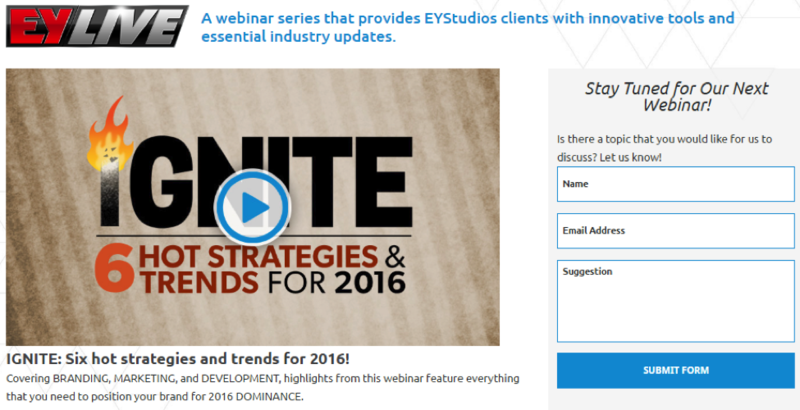 EYStudios, an ecommerce web design and development studio, regularly holds live webinars that include interactive commentary, user-submitted questions, and episodes that often feature expert contributors. Their interactive content targets those already tuned into the brand who are likely looking to make a change with their ecommerce site, or who may be gearing up for a launch. The more time you spend online, the more you'll see bottom-of-the-funnel content all over the internet. Websites are full of calls-to-action for trial offers, demos, downloads, and estimate request buttons -- despite the fact that the majority of their audience isn’t ready to buy initially. In fact, Google and CEB's The Digital Evolution in B2B Marketing report shows that people get up to 60% of the way through a buying process before they’re ready to talk to anyone about making a purchase. By itself, a bottom-of-the-funnel offer isn’t likely to close a lot of leads into customers. 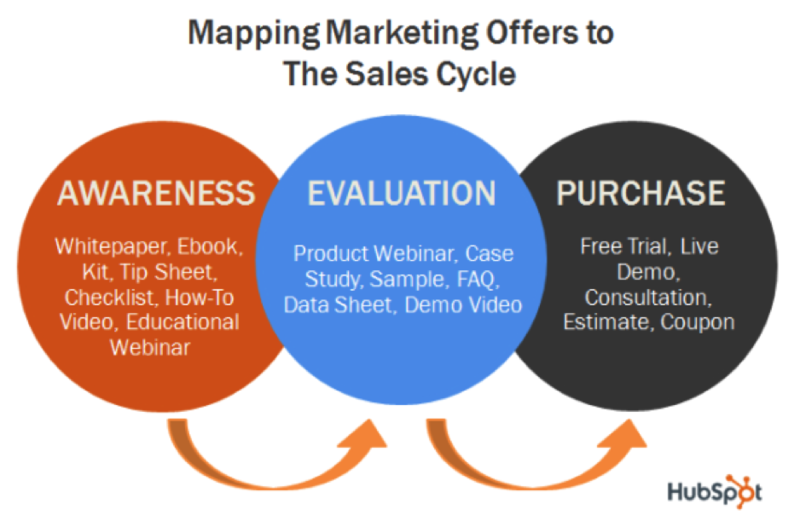 However, when you have it mapped appropriately to the buyer journey, you’re combining the compelling nature of that final offer with all the engagement you’ve created leading up to that point. You’re far more likely to nail the close and see that lift in conversions. The most effective types of content in the purchase stage tend to be case studies, trial offers, demos, and product literature. 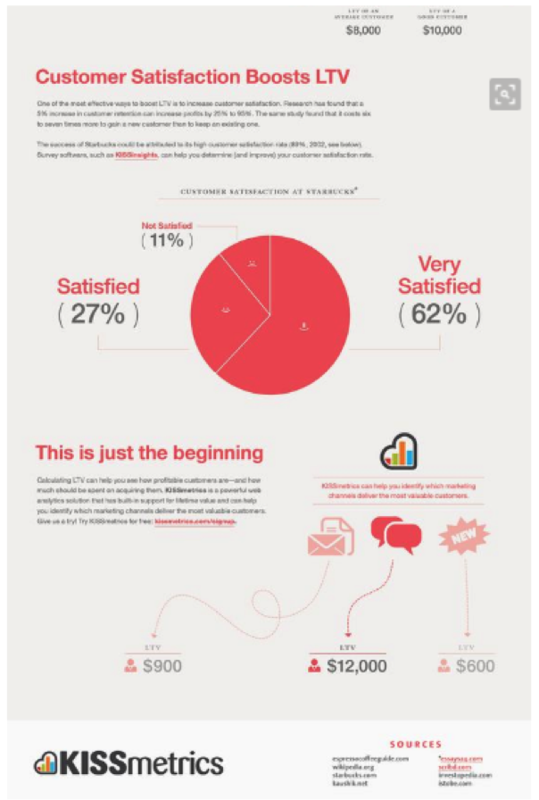 Kissmetrics is a star at using customer stories and data in an educational and entertaining way. Whereas many companies will list out their product features in a text-heavy format, Kissmetrics uses infographics and other attractive visual content to help close the deal. 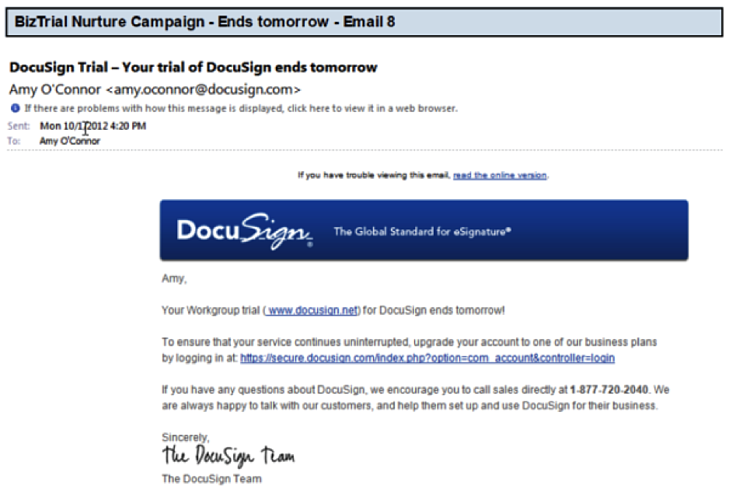 This is the kind of compelling digital product literature that'll help sway a person's decision. Zapier has taken the demo route to the extreme, offering a "Free Forever" pricing plan to help onboard their audience. With the packed but slightly limited features, it’s a clever way to warm people up to the paid services. Once you sign up for the free option, Zapier cycles you back to the middle of the funnel and continues to strategically build the relationship by reinforcing the effectiveness of their platform and steering free or “demo” subscribers to their premium plans. Amazon also knows the power of a free trial -- and that a great way to get the people who sign up for one to purchase in the end is to give them the moon during that free trial. 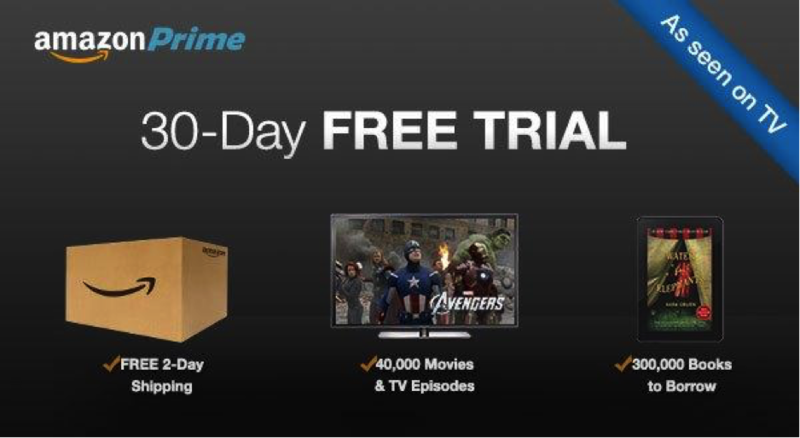 Their bottom-of-the-funnel offer is a completely open trial of the Prime service, including everything from live streaming to free digital book downloads and free Prime shipping. Once the trial is over, it’s hard for subscribers to let go. Every business has a unique sales funnel, sculpted and designed around their buyer’s unique journey. It’s a recipe that can’t necessarily be replicated from one business to another. When creating your own buyer's journey, there are a number of factors specific to your business to take into consideration. That said, the general approach remains the same: Understand your audience, develop your funnel around your industry and audience intent, and create a documented content marketing strategy that maps custom content specifically to each phase of their journey through the funnel. Do it well, and this process will have the greatest possible impact on your customer relationships, as well as the greatest possible lift in your overall conversions. What other great TOFU, MOFU or BOFU content examples can you add to this list? Do you have a tip or two to share for how you've mapped your own company’s content journey to these stages? Leave me a note in the comments below.